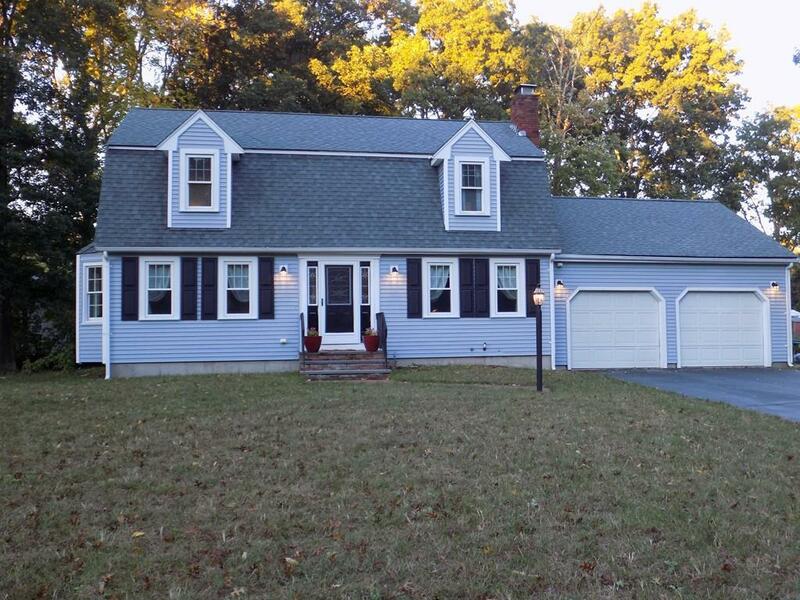 This beautiful Dutch Colonial is located on a Cul-de-Sac in desirable Homestead Estates. Pride of ownership shows throughout in this recently redecorated & freshly painted home. This 3 bedroom, 2.5 bath boasts newer vinyl siding & shutters, windows & roof. Brand new septic installed in 2018. Hardwood floors in living room w/fireplace, family & dining rooms. Hardwood floors in master bedroom w/master bath & walk-in closet. The kitchen has painted cabinets with stainless steel appliances, center island & pantry closet. Adjacent to the kitchen is a dining area with wainscoting which leads to the maintenance free trek deck & private backyard. This home also has a central vac, security system & partially finished basement. The oversized garage has plenty of room for 2 vehicles & storage. Nice size lot with storage shed. Don't miss out on this great opportunity to live in a private setting & yet close to all the amenities & train.